We return today for another visit with Amy Simpson, author of Troubled Minds and Anxious. Amy devotes her ministry to the study of mental health issues. Her new book is Blessed are the Unsatisfied: Finding Freedom in an Imperfect World (InterVarsity) and you can still read chapter one from the book for free at this link. (Look around her blog for chapters two and three as well!) To read today’s post there, along with some reader’s comments, click the title below. In Matthew 5:1-12, Jesus teaches about the counter-intuitive ways God blesses people, in the passage known as The Beatitudes. In Verse 6 he says God blesses people with a promise of satisfaction, and it’s not the ones who have everything; it’s the people who live with a gnawing hunger and thirst for righteousness. In other words, Blessed Are the Unsatisfied. And I believe, I’ll see You do it again. It’s a confidence-inspiring song, trusting God to act as he has in times past. While everyone else is singing it, I am joining in as well, believing that God is fully able to move as he has in times past, and knowing that there are people standing nearby who long for God to move as he has before, either in a general sense of revival or restoration, or concerning a current need they are facing that day. But life involves the valleys as well as the mountains. We do the same thing. It’s easy to wish that we could see the miracles. Maybe you missed the “third wave” of the charismatic movement in the 1970s; or missed the ocean baptisms of the Jesus movement, also in the ’70s. Maybe you missed the moment at a Christian music festival; or couldn’t attend a particular year of Promise Keepers. Perhaps you weren’t there when that church doubled its attendance in six months; or when that individual was dramatically healed, or another delivered from a particular addiction. Or maybe you were there, but have a sense of that was then and this is now. You — quite correctly in one sense — don’t want to be coasting spiritually on that event that happened all those years ago, but desire to see God move as he did then. It’s also important to remember that God doesn’t always move the same way twice. Compare the two healings of two blind men; one involves Jesus simply speaking, the other involves a messy, muddy paste. One is a single-step process while the other is a two-step healing. Asking God to “Do it again” may mean that God answers your prayer but in a wholly different manner. Clarke Dixon returns next week. Having many years of archives to draw on, we get to know certain authors and offer their latest writing here on a regular basis; but I also like to keep adding new devotional writers as I discover them. Paula Maillet has been blogging at Along Emaus Road since 2005. Her pieces are shorter than some we include here, so I’ve posted two below which couldn’t be more different. I placed these in the order I did so we could see our problem, and then its cure. I once had a married friend who was beginning an affair with another man, and I spoke to her about it, asking how she could do such a thing. Her response was that she felt a lot of guilt the first time, but that afterwards she felt less and less guilt as time went on and now just didn’t feel guilty at all. She was “past feeling.” Her conscience became seared. I saw it with my own eyes. This was an example to me as I watched as she was given over to a debased mind. Don’t think it can’t happen to you if you’re flirting with sin, any sin. Eventually it won’t hurt your conscience any more – when the Holy Spirit has left you. Don’t try it. Don’t flirt with it. Take heed that you be not deceived and lured into something you would not have wanted to be attached to. It all comes by revelation, and NOT by human reasoning. If you’ve tried to understand God or to understand his Word and find you cannot, there is a reason for that. You are trying to do with your human resources what only the Spirit of God can do. ASK the Lord to REVEAL his Word to you. What you do not understand, set aside for now. Let him reveal himself and his Word to you as you read it (the Bible) prayerfully. He WILL reveal it, gradually more and more, as you sit before him. Put the time in. It’s worth it. It’s beyond worth it. These are great promises in the Word of God. Receive them, meditate on them, believe them, and he will do the rest. This is our fourth time with Steven C. Mills at the website, Steve’s Bible Meditations. Click the title below to read at source. “For the Son of God, Jesus Christ, who was preached among you by us—by me and Silvanus and Timothy—did not become ‘Yes and no’; on the contrary, a final ‘Yes’ has come in Him. For every one of God’s promises is ‘Yes’ in Him. Therefore, the ‘Amen’ is also spoken through Him by us for God’s glory. 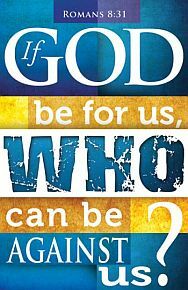 Now it is God who strengthens us, with you, in Christ and has anointed us. 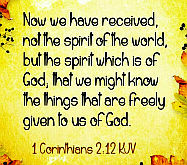 He has also sealed us and given us the Spirit as a down payment in our hearts” (2 Corinthians 1:19-22, HCSB). Do you ever get down and depressed because you feel like you’ve got so much to handle and you just can’t do it all? And then you get all locked up inside and you don’t do anything. I call it “gridlock of the soul.” Why even try, you wonder. When life keeps telling you “No,” there is something you can do to escape soul gridlock. God’s “Yes” is a Big “YES!” because God doesn’t just acknowledge His promises, He affirms His promises! God doesn’t just make promises! God fulfills His promises! And then God activates His promises in your life! All God’s promises are “Yes” in Christ. Jesus Christ is God’s “Yes” Man! God speaks His promises into existence and then applies them to our lives through the redemptive power of the cross of Christ and the sustaining power of the indwelling Holy Spirit. In other words, God’s affirmation is not a “Yes” that just says it’s okay or gives permission or indicates agreement. Rather, God’s “Yes” is a substantive “Yes!” It affirms and confirms the truth of His promises! And it enables and empowers us to live God’s truth! When God says “Yes,” He does something about it. He acts on it. He not only gives His promise but He equips us to receive His promises and accomplish His will. Now I’m not suggesting that in your life there won’t be times of trouble or that you won’t have times when you feel down and defeated. But, I am sure that if you are feeling down and defeated, the source of your depression is not God but Satan, the evil one. God affirms all His promises to us through the atoning work of Jesus on the cross, once and for all, which is reinforced to us by the indwelling Holy Spirit, enabling us to accomplish God’s will in our daily lives. 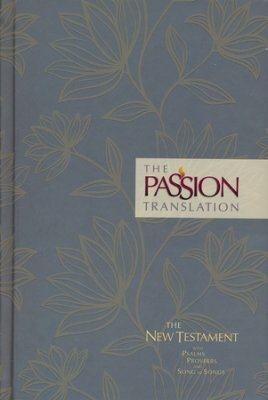 Currently, much attention has been focused on a new version of the New Testament, The Passion Bible. This has in turn resulted in interest in the author, Brian Simmons and his other writings. We decided to check out his book of 52 devotions, I Hear His Whisper. The style of this devotional places the text in the first person as though God Himself is speaking. We’ve previously discussed that this style is used in classics some as Come Away my Beloved and more recent books such as 66 Love Letters. In order to emphasize this, I’ve set today’s devotional in italics. Just as a builder lays a foundation for a large and strong house, I have laid a deep foundation in your life. This foundation is built upon the Rock of Truth. I have set up your walls and strengthened your being. You will be a stronghold of My presence, and I will display you to the world as My beautiful, artistic masterpiece! Sacred blood I gave for you. Holy hands were opened to receive your nails. Beautiful feet that walked the streets of Jerusalem were pierced so that you would walk the streets of holiness with Me. I will bring My plans to pass. My longings for your life will be fulfilled. Do not look at the structure and say that it is inferior. Look at My wisdom and say, “You do all things well.” Even now I am preparing the next steps of your journey with Me. I am building you into a house of glory that I might show My overcoming, conquering strength on your behalf. Slowly and carefully, as the Master Builder, I have constructed you and built you up. The superstructure is now seen, and I will finish what I have begun. Many times you have asked me, “Why does this take so long?” I speak to you this day: believe in My wise plan for your life, look to Me and it will come to pass. My power and grace will rise up within you, and what now seems impossible will be lifted from you. Your limitations are invitations for My power to deliver you. I will never fail you or disappoint you. My promises are rainbows of hope that cover you. My declarations over your life are greater than your heartache. Your tears are liquid words that I read and understand. Never doubt My conquering love, for I have determined to build you up into a spiritual house filled with trust, hope and love. And you can read them all. • Stand back and look at your life as if it were a building being constructed. Can you see His wise plan coming together? Reflect on His faithfulness to you throughout the different stages of your life. Each year there are many new translations of the Bible released, but only a select few reach a level whereby they find acceptance and are known by the broader Christian community. We’ve seen conservative translations such as the ESV and more recently the CSB do this but there are also versions of the Bible which attempt to do something new and different, while still remaining faithful to original language documents. Such was The Message and more recently The Voice; and it’s into that marketplace that The Passion Translation (sometimes being referred to now as TPT) by Dr. Brian Simmons enters. Hardcover editions are now available and several leather editions, and in addition to the NT contains Psalms, Proverbs and Song of Songs. • Ephesians 2:8 – For it was only through this wonderful grace that we believed in him. Nothing we did could ever earn this salvation, for it was the gracious gift from God that brought us to Christ! • Matthew 28:18 – Now go in my authority and make disciples of all nations, baptizing them in the name of the Father, the Son, and the Holy Spirit. • 2 Timothy 3:16 – Every Scripture has been written by the Holy Spirit, the breath of God. It will empower you by its instruction and correction, giving you the strength to take the right direction and lead you deeper into the path of godliness. • Romans 10:9 – And what is God’s “living message”? It is the revelation of faith for salvation, which is the message that we preach. For if you publicly declare with your mouth that Jesus is Lord and believe in your heart that God raised him from the dead, you will experience salvation. • Romans 8:28 – So we are convinced that every detail of our lives is continually woven together to fit into God’s perfect plan of bringing good into our lives, for we are his lovers who have been called to fulfill his designed purpose. • Romans 12:2 – Stop imitating the ideals and opinions of the culture around you, but be inwardly transformed by the Holy Spirit through a total reformation of how you think. This will empower you to discern God’s will as you live a beautiful life, satisfying and perfect in his eyes. • Philippians 4:13 – I know what it means to lack, and I know what it means to experience overwhelming abundance. For I’m trained in the secret of overcoming all things, whether in fullness or in hunger. And I find that the strength of Christ’s explosive power infuses me to conquer every difficulty. Here Is Your God. A Comforting Thought? What do we learn from this message of comfort in Isaiah 40:1-11? When our children were young we would give them “time-outs” according to their age. So, for example, when they were each three, they had to sit quiet in one spot for three minutes. When they were four, they had to serve four minutes and so on. Now that I am forty-five, I just wish someone would give me a forty-five minute time-out! For the children, it was always good news when Mum or Dad announced that the sentence had been served, the time-out was completed. In being exiled, God’s people were on a time-out. Now the penalty was paid, the time-out was over, they could return home, and God Himself would also arrive. That was a very comforting thought. Second, God’s arrival is worth preparing for and getting excited about. The image here is of preparing for the arrival of a ruler. The appropriate preparation for a ruler was to make sure the road was in really good shape. The appropriate preparation for a divine ruler is repentance. Now before you think something like “I hate it when preachers preach on repentance, it seems like such a negative thing”, let us consider that there is very positive aspect to it. The most exciting moments of my life have been my wedding day and the birth of our three boys. These were moments worth preparing for. Your wedding day is a day when getting “cleaned up” is not a chore, but part of the anticipation. Putting together a crib is no easy task (I speak from experience), but something done willingly in anticipation of the arrival of someone very important. At Christmas we celebrate the same news “Here is your God”. He will arrive again, an arrival worth getting excited about and preparing for. However, it felt like the return from exile never really lived up to this promise. It was not world changing. God’s glory was not evident in the way it was in the past. But it was part and parcel of world changing events that were yet to come. Historians and scholars debate many things, but there is no argument about the fact that the arrival of Jesus has been world-changing. His return will also be world-changing and God’s glory will be seen by all! That God keeps His promises is in contrast to people who can and do fail us. God can be trusted. However, in Jesus’ day some may have doubted that God had kept all His promises. The Romans are in charge, this can’t be what it is supposed to look like. The promises to Israel were part of a much bigger promise to the world which we can read about in Genesis chapter 12: “. . . in you all the families of the earth shall be blessed” (Genesis 12:3). It is not that God had kept all His promises in the return from exile, but that He was keeping His promises and the exile was part of that. The rest is yet to come. At Christmas we celebrate the same news “Here is your God”. It is not that God has already kept all His promises through the birth, life, death, and resurrection ofJesus, but that He is keeping His promises and Jesus’ arrival 2000 or so years ago was part of that. He will arrive again. The announcement will be made “Here is your God”. The rest is yet to come. The promises will be kept. Fifth, God’s arrival is comforting news because He comes with responsible power. The Lord comes as one who is both mighty (verse 10) and compassionate (verse 11). If God were mighty but not compassionate, that would be scary. If God were compassionate but not mighty, that would be disappointing. God is both, and that is comforting. At Christmas we celebrate the same news “Here is your God”. In Jesus we see both the power of God to deal with sin, and the Good Shepherd who deals kindly with us. We return to the original question: if someone who knew you well could say “here is your god”, to whom or to what would they be pointing? If it is to the LORD who has revealed Himself to us through Jesus, then there is great comfort. If it refers to anything or anyone else, comfort will not be the appropriate word. No one else, and nothing else . . .
Can pay the penalty God has already paid for you. Could cause such excitement, worth getting ready for. Will have an arrival that is such a world changing event. Keeps promises like God does, or can even make the kinds of promises God makes in the first place. Has both the might and the shepherd’s heart to be able to take care of you, now and for eternity. Here is your God. To whom or to what am I pointing? But I’m gonna pray . . . .
I’m broken, alone, and afraid . . . .
Hope is found in the promises of God. Jesus is the evidence that God keeps His promises. The phrase “the truth of God” refers to the fact that God will do what God says He will do. He is honest. Jesus is the confirmation that God is making good on all His promises. The apostle Paul goes on to give a sampling of some of these promises from the Old Testament Scriptures. Let us make some observations on them. Far from questioning the existence of God, the goodness of God, or the love of God; when we come to realize He has fulfilled His promises in Jesus, we instead praise the Lord for who He is, what He is like, and for His amazing love. As we grow in our relationship with Him, lingering doubts are replaced with confidence. We should not think of this praise as being dutiful and forced, but spontaneous and joyful. When we see God keeping His promises, how could we do anything but joyfully praise Him? The emperor was the ruler at the time Paul quotes these Old Testament verses. Something we should know about the emperors in those days, that whatever you may think of Donald Trump, they all made President Trump look like an angel! Hope is dashed when our leaders fail to lead well. Hope shines brightly when we have good leadership. There is no better shepherd than Jesus! When we think of people that have oppressive rule over others, we should also think of things that can rule over us. Things like poverty, addiction, disease, toxic relationships, discrimination, abuse, bullying and the like. Whatever things seem to rule over you now, gets the boot. Jesus is Lord and He shall reign. We begin seeing this in the here and now. We will see it fully in the days to come. When we look at the world around us, when we lift up our heads and see the world on fire, we may wonder if there will ever be a glimmer of hope. When we look back at the promises of God, promises confirmed by the birth, life, death, and resurrection of Jesus, hope shines brightly. We may feel like our glory days are well behind us. Some look back to when one hundred sit-ups were an easy thing, others look back to when they could simply sit up without help. Some look back to better paychecks. Some look back to when children were home and a spouse was still alive. Some look back to a time when loved ones were not suffering. When the aches and pains of life settle in, we can long for the “glory days” we see in the rear-view mirror. God’s people in Ezekiel’s day would have felt that their glory days were behind them. They could look back to the days of David and Solomon, and see how things had never been quite as good as they were then. And now that they are in exile, Jerusalem is destroyed, and the temple lay in ruins, there would be a strong temptation to keep their eyes fixed on the rear-view mirror in search of the “glory days”. The prophecies in Ezekiel chapters 36 through 39 spoke to God’s people about their glory days. They speak to us today about ours. Let’s take a bird’s eye view. The wording of this alludes to “Be fruitful and multiply” from Genesis 1:28 which recalls Eden before the ground was cursed thanks to Adam (see Genesis 3:17). The promise is for a future even better than the glory days! The promise goes well beyond a mere return to the land and the status quo. God promises to clean His people up and give them His Spirit. This is a far better situation than what they enjoyed in the “glory days” of David and Solomon. We should probably see both here, with a return from exile made even better by the fact that all past generations will be able to participate as well. This would be far better than the past glory days. Words like “never again” and “forever” are important, whereas in the glory days of the past, the big word was “if”. That is, “if you are faithful to me things will go well”. Here in Ezekiel’s prophecy there is no “if”, just God’s people enjoying God forevermore. This is much better than the glory days of the past. Chapters 38 and 39. These are prophecies against a land called Gog. There has been much conjecture as to the identity of Gog. For now, let us notice that the enemies assemble to the north (see Ezekiel 38:1-6). The Assyrians invaded from the north when they destroyed the northern kingdom of Israel. The Babylonians invaded from the north when they destroyed the southern kingdom of Judah. The point is that such destruction will never happen again! The safety and security of God’s people will be much better than in the glory days of the past. This is not just restoration of the former status quo. This is restoration to God! This is much better than in the glory days of the past! Cleansing from sin and the gift of the Holy Spirit, as in Ezekiel 36. Resurrection from the dead, and the inclusion of all generations in the promise, as in Ezekiel 37:1-14. The Messiah as the Lord of a united and holy people, as in Ezekiel 37:15-28. A future, safe and secure from every enemy, as in Ezekiel 38 and 39:1-20. Restoration, not just to a land, but to God Himself, as in 39:21-29. ESV Rev 21:3 And I heard a loud voice from the throne saying, “Behold, the dwelling place of God is with man. He will dwell with them, and they will be his people, and God himself will be with them as their God. 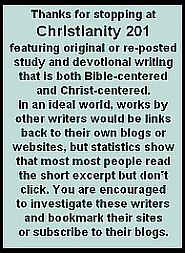 Today we’re paying a return visit to Out of the Ordinary; this time around the writer is long-time blogger Persis. I really appreciated the topic she chose. Click the title below to read at source, then take a few minutes to look around at what others on the blog are writing. There was a time when the book of Revelation was my least favorite book of the Bible. I thought its main message was to foretell all the horrible things that would happen before Jesus comes back, and those horrors would be my fate unless I achieved a certain level of spirituality whereby God would deem me mature enough to escape them. Cold comfort, indeed! At least, Revelation was at the end of the Bible so I could avoid reading it as long as possible. But what a terrible state to be in. I had no assurance as to my salvation. God and His gospel seemed weak and ineffectual, and I was afraid to read part of the Bible. But I couldn’t be more wrong. The gospel isn’t the power of God to just get me in the door and then the rest is up to me. What Christ has accomplished covers the beginning, middle, and end of my Christian life. I am not living in a dualistic Star-Wars-like universe where good and evil battle one another on a level playing field. 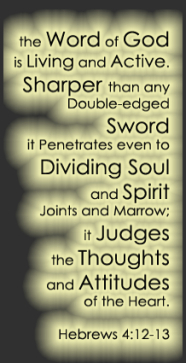 Who in his right mind would contend with the Almighty? God has no rivals. And what if Revelation is less about decoding the events of the 21st century but a word of comfort and consolation for Christians down through the ages? This is quite different from how I had previously viewed the book of Revelation. A source of fear has now become comfort and consolation indeed. May it take root in my heart. Today we’re paying a return visit to A Simple Christian. The author is unnamed, but is a pastor at Concordia Lutheran Church in Cerritos. Ca. You may click the title below to read this at source. Anything done out of love is important, however small it might appear. God has come to us, even though we are miserable creatures, and he has told us that he loves us: “My delight is to be among the sons of men.” Our Lord tells us that everything is valuable—those actions which from a human point of view we regard as extraordinary and those which seem unimportant. Nothing is wasted. No man is worthless to God. All of us are called to share the kingdom of Heaven—each with his own vocation: in his home, his work, his civic duties, and the exercise of his rights. Those words talk of dependence, of the greatest level of what we call faith. The point where rock bottom we realize He is hear, and just go, “Lord, I can’t anymore, all I have to cling to are Your promises, the promises I can’t believe are true for me. “Yet, I abandon myself to you, I will depend on what I can’t see, what may be beyond my logic, but what you promise is real. “You are here… I can see that today…when I couldn’t last week, and may struggle next month to see it. So I will praise You, So I will rejoice in a God who wrote those promises through prophets, and etched them in the hands of His Son. Where is God When Life is a Mess? Ezekiel Knows! So what clarity does Ezekiel bring? In reading Ezekiel chapter one we learn that the glory of God is indescribable and incomparable. God’s people in captivity would have been reminded by Ezekiel’s first vision of the religions around them. The Babylonians, like most nations of the day, but unlike God’s people of Israel, had statues and idols representing their gods. As Bible scholars point out, through the vision the Lord is drawing a contrast between Himself and the gods of the Babylonians. The statues of the Babylonians were lifeless, in contrast to the “living creatures” (verses 5,13,14,15,19,20,21,22) of Ezekiel’s vision which point to the living God. The statues could not see, in contrast to the many eyes, representing the all seeing nature of God. The statues could be destroyed, in contrast to the fire in Ezekiel’s vision, showing that God is the one who has the capacity to destroy and is not Himself consumed. The statues were stuck wherever humans put them whereas in Ezekiel’s vision there are many wheels and free movement. God is not stuck and will go where He wants to go! That God is alive, all seeing, the indestructible destroyer, and has the capacity of presence anywhere and everywhere is all part of the glory of God in direct contrast to the gods of Babylon. So what is being clarified here? We could sum it up with “O people of God. God is alive, all-seeing, powerful, and present. You are not in a mess because God is weak, or because the gods of Babylon are strong.” This is a good reminder for us when our world is in a mess, or when our lives are in a mess. It is not because God is weak, or because the powers of this world have any power over God. The noise is part of the terror for anyone who has lived through a tornado, or stood next to a railway crossing for a fast moving train with horns at full blast. This was not just a vision, but an experience for Ezekiel, a frightening one. The people of God in Babylon have good reason for fear; God is a God of judgement. They are not in captivity because God is weak or the gods of Babylon are stronger. They are there because they are reaping what they have sown. The glory of God is terrifying because the justice of God is perfect. So what is being clarified here? We could sum it up with “People of God, examine yourselves and see why you are in a mess. Not because God is weak, or because the Babylonian gods are stronger, but because you have been in rebellion against God.” This will be a theme of the prophecy of Ezekiel. And this is a good reminder to us also; every mess has sin behind it somewhere, even if indirectly. In reading Ezekiel chapter one we also learn that the glory of God is comforting. Think of Genesis chapter 3 where Adam and Eve experienced the consequence of their sin in being banished from the Garden of Eden. It is an amazing fact the Bible does not end there, indeed that is only the beginning. Adam and Eve go on to experience the presence of God. In addition to experiencing the consequence of their sin, they go on to experience the consequence of God’s love. Life in the presence of God goes on! Likewise, in Ezekiel the people of God experience the consequence of the sin of the nation, yet God is present with them in captivity! That the Temple might be destroyed is not of great consequence to God. He can be anywhere and there is nowhere He would rather be than with His people. That was the point of the Temple in the fist place. His presence is an expression of His love, whether at the Temple in Jerusalem, or in captivity in Babylon. After seeing and experiencing the creatures, the wheels, and the fiery figure on the throne Ezekiel mentions a rainbow as part of his summary in verse 28. This was a reminder of God’s covenant promises. Yes, God’s people would suffer the consequences of not keeping their covenant promises, but yes, God was still faithful and would continue to keep His covenant promises. So what is being clarified here? We could summarize it with “O people of God, despite the fact you are reaping what you have sown, there will be a future.” This is a good reminder for us, that when our lives get in a mess, even when it is a mess of our own making, God will love us through the mess. He remains faithful. Yes the world can get messy. But God is not weak. Neither is His love. Clarke Dixon is a Canadian pastor whose writing you can check out at this link.